Yesterday, I went to Toys 'R' Us at SM North Edsa with 700 pesos. My mission? To buy TF Animated figures. Upon getting to my destination, I was pleasantly surprised to find out that there was a sale. A TFAnimated toy would normally be 600 pesos: with the sale, it went down to 400. I managed to get a Soundwave that day. 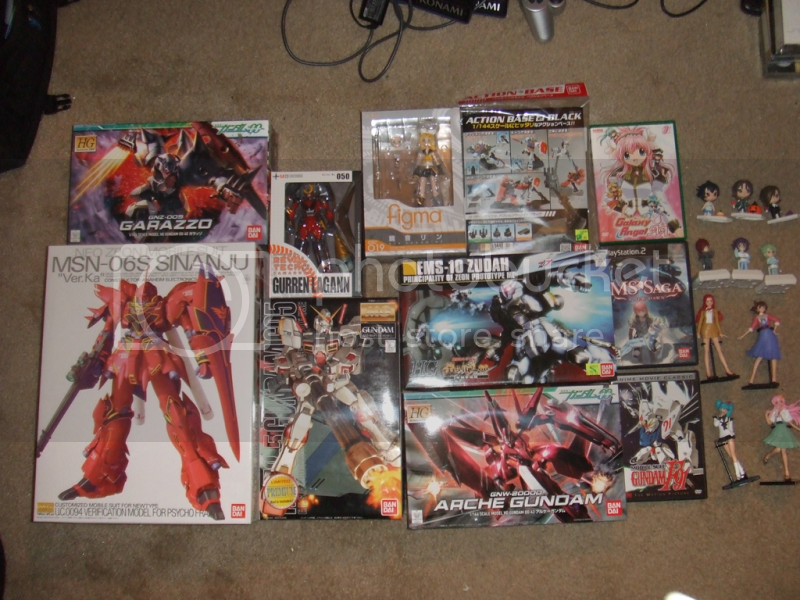 So, Busou Shinki World: What did you get today? If you got a toy today, tell us about it. Bonus points for pics. Hmm, looks like you got a pretty good haul there. Animated Ratchet, Optimus, Lugnut, Grimlock, what looks like Animated Megatron, Movie Megatron and Incinerator (or is it Blackout?)? Nice. Me, I got Oil Slick today. The sale was over, but I managed to get the last Oil Slick at sale prices. He is awesome. Enough said. I'll eventually post pics when I get my lazy arse up to photograph my new Decepticons. Icarael wrote: Hmm, looks like you got a pretty good haul there. Animated Deluxe Ratchet, Animated 2-pack Battle Begins Optimus Prime + Megatron, Animated Voyager Lugnut, Animated Voyager Grimlock, Movie Voyager Frozen Megatron and Movie Voyager Blackout, Nice!